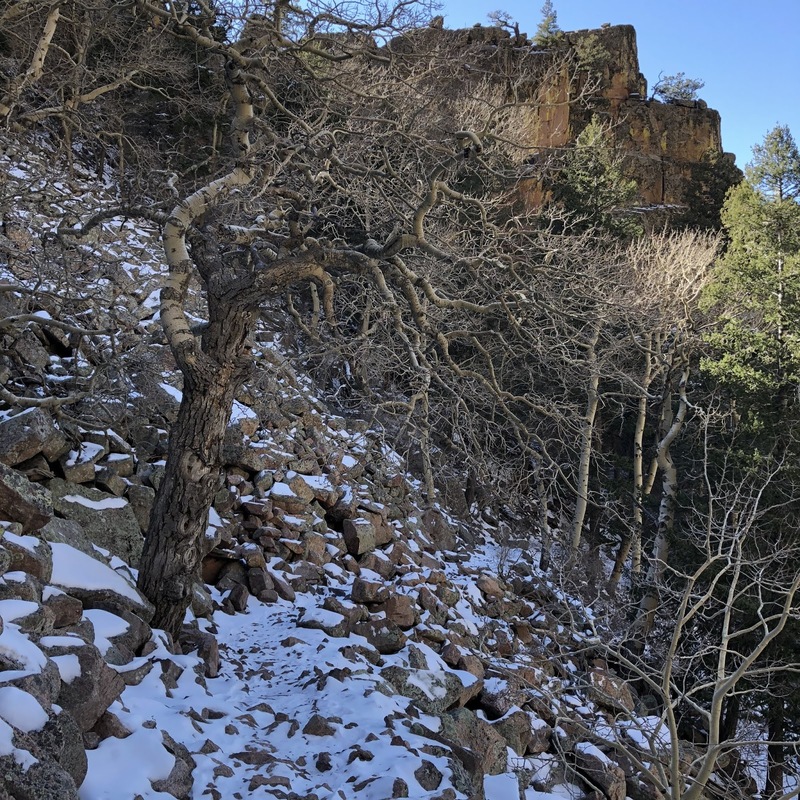 Ordinary Hiker: It's already Icy on the Trails -Where's your snow gear? 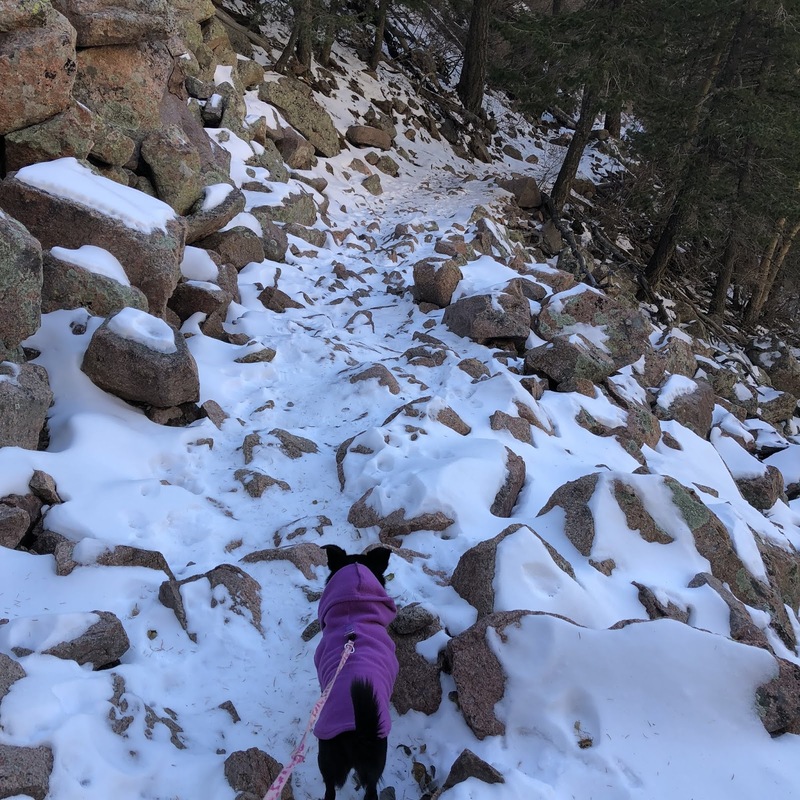 It's already Icy on the Trails -Where's your snow gear? 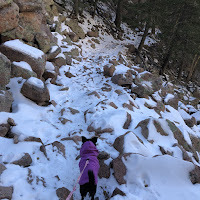 And then Pepper and I decided to tackle the La Luz Trail, less than a week after Halloween. After spending an hour driving and sneezing (hey, it's still allergy season, how could it be snow, my naive southern self thought). After a half-mile, we were greeted by the slippery, ice-underneath switchbacks of the La Luz covered in snow. Pepper was rather annoyed with me, and honestly, I was annoyed with myself. 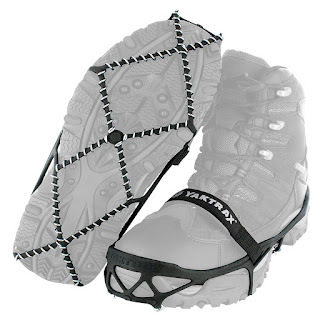 I went on to Amazon and IMMEDIATELY ordered some YakTrax. Thinking back, I realize I'm going to need these not just for hiking, but a couple years ago in NC, I slipped just trying to get the dogs to go pee in the morning. It was a pretty serious slip, not only could I not get up, my big dog just decided to wander off (thanks Lassie) and I had a mild concussion. Not FUN. 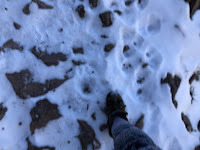 And seriously, for only a couple bucks more than the ones I had been looking at when my hiking friends were like "Well, you should probably look into some snow protection" I picked up the YakTrax with the strap. 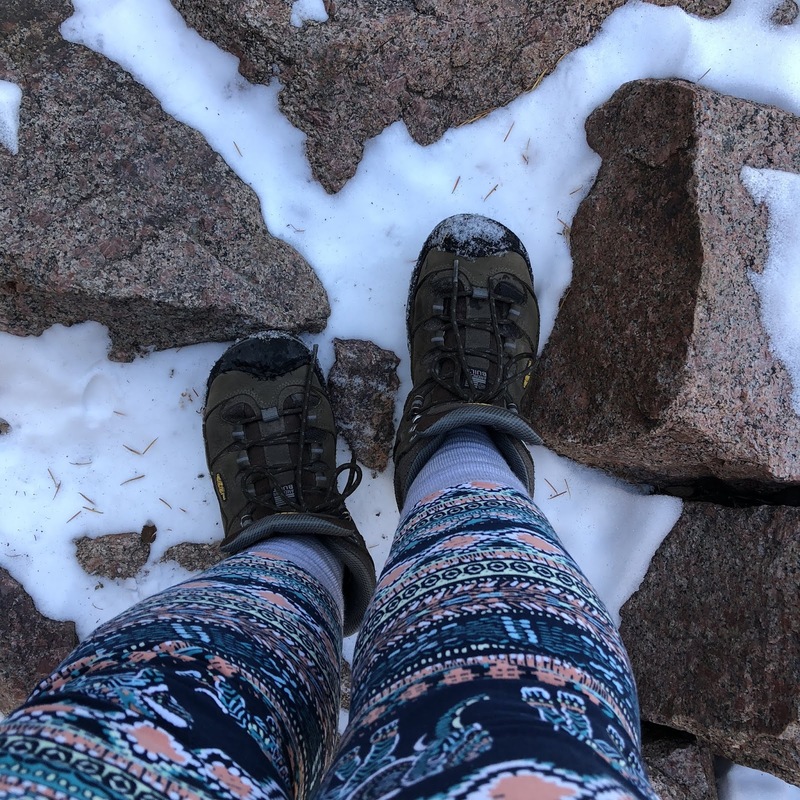 As I've got wide feet, and I'm clumsy, the strap is going to help while trudging through the snow, tripping on rocks, or being my usually accident-prone self. I'll be testing these out in the next couple weeks, and if I need more grip or more protection (again, I'm mostly in the desert and less icey conditions), I will get it. I'm not 20 anymore, and I can't recover from a slip or fall like I used to. <--- Blurry photo of me slipping instead of paying attention to the trail. 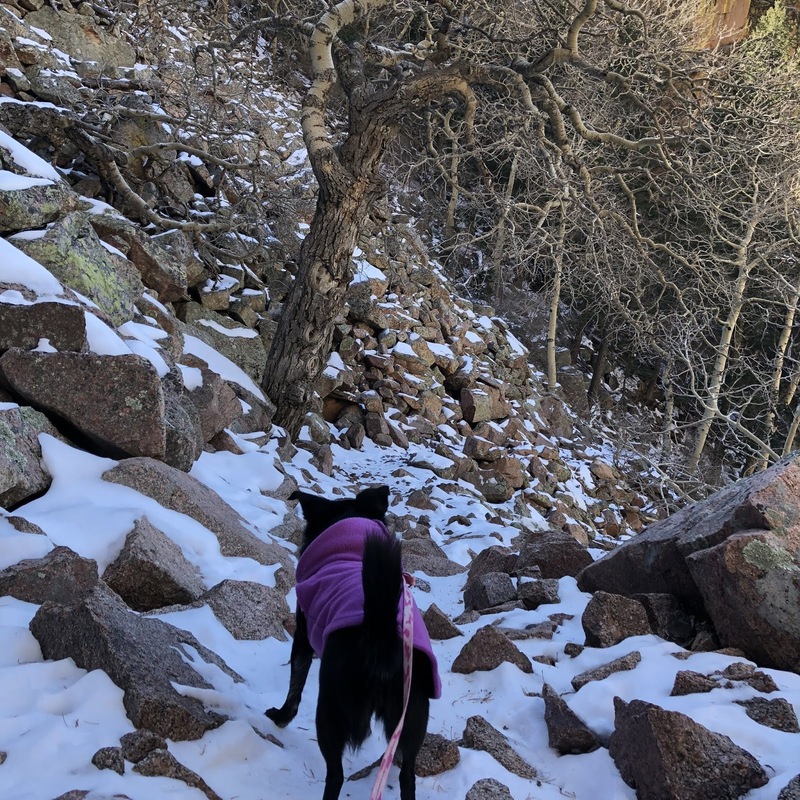 PS: Pepper wouldn't even look at me for half the hike. It takes her a while to shake off her little big attitude.